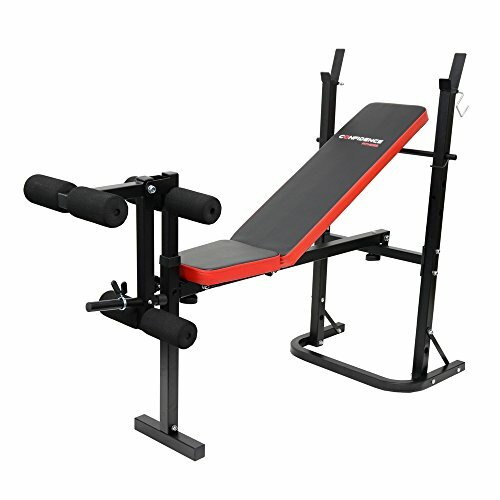 No home fitness gym would be complete without a versatile weight bench. From upper body to lower body, Confidence Fitness has designed this bench to target multiple muscle groups. Modify the adjustable incline uprights for a variety of bench press exercises to build and sculpt your chest. Shoulders can also be targeted with the bench press station simply by altering the incline. A leg extension station removes any excuses for missing leg-day ever again. Develop and strengthen your quads, hamstrings, and glutes with a range of exercises possible. Confidence Fitness has constructed the bench with steel square tubing to withstand intense lifting. Meanwhile, a comfortable high-density seat and back pad will give you the support you need to perform. If you have any questions about this product by Confidence, contact us by completing and submitting the form below. If you are looking for a specif part number, please include it with your message.